NOTE: This post contains minor location spoilers for the film Avengers: Infinity War, but steers clear of any big plot details. 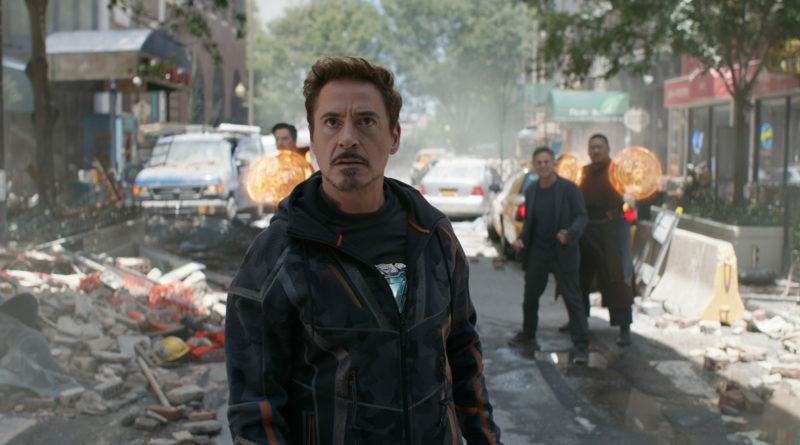 The new Marvel superhero epic Avengers: Infinity War, which took in a small-country’s-gross-national-product amount of money in its opening weekend, sends its characters to the far reaches of our universe — distant planets, ravaged alien civilizations, out in the deep corners of imagination. The film visits an illustrious list of famous cosmic locales within the Marvel Comics universe, places both fantastic and unimaginable. But there is one destination that is quite imaginable indeed — Greenwich Village. Below: The Avengers battle either aliens or drunken Saturday night college crowds. A key conflict early in the film takes place on the streets of Greenwich Village and within the formerly peaceful vista of Washington Square Park. 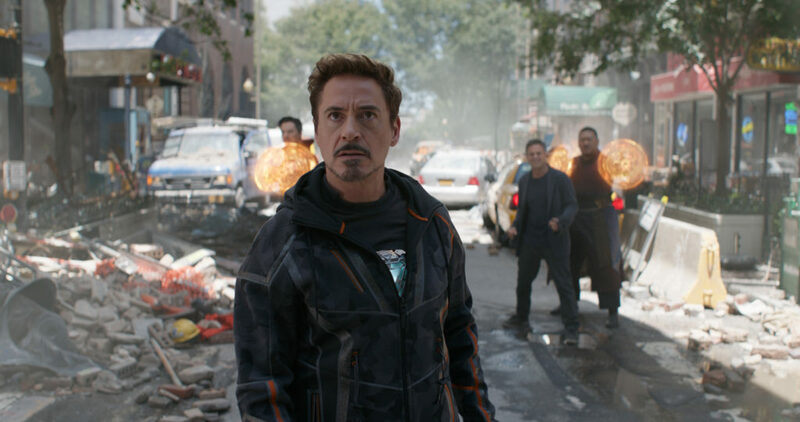 At one point, Iron Man and Spider-Man engage with alien villains on a battlefield between two Stanford White architectural masterpieces — Judson Memorial Church and the Washington Square Arch. I imagine frightened NYU students, tourists, musicians and street performers fleeing their perches at the circumference of the Washington Square fountain and seeking shelter at some Macdougal Street bar. 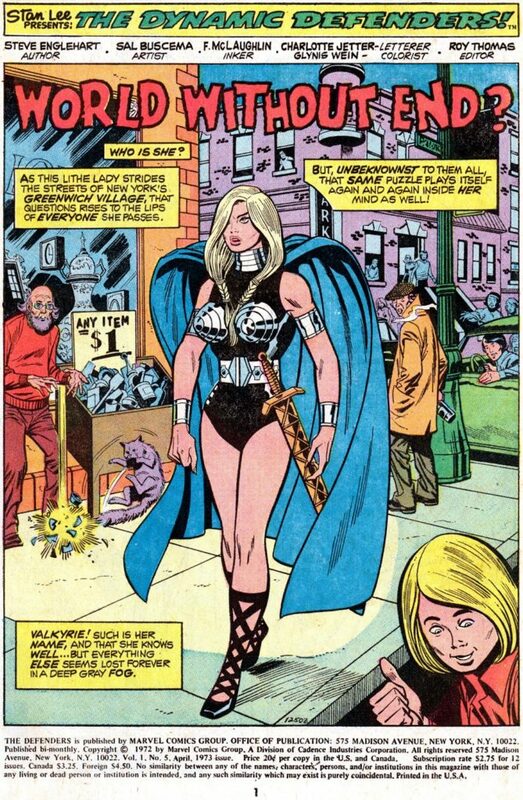 When Stan Lee and creators like Jack Kirby started creating superhero comic books for Marvel Comics starting in 1961 (with Fantastic Four #1), they purposefully crafted new characters that felt like New Yorkers — even if they were aliens or radioactive beasts. (After all, so many of us are from foreign places, whether it be Ohio or Asgard.) These heroes regularly operated in Manhattan, fighting and vanquishing evil on the gritty streets of New York. 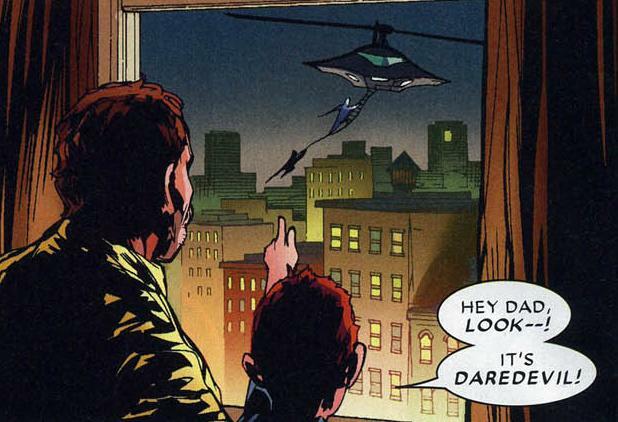 What would Spider-Man swing from if there weren’t any skyscrapers? The original Avengers met in an Upper East Side mansion suspiciously resembling The Frick Collection. Daredevil staked out the streets of Hell’s Kitchen. 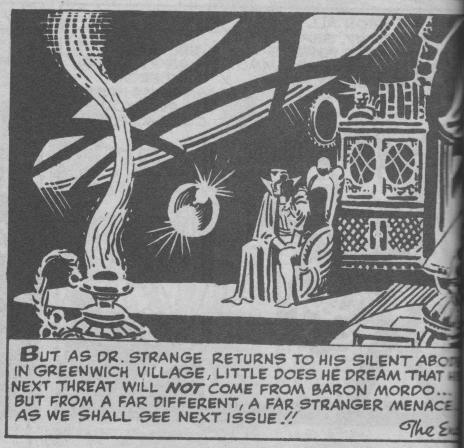 And in the Village of the 1960s, came the trippiest, grooviest, most bonkers superhero of them all — Doctor Strange. The master of the mystic arts first appeared in Strange Tales #110 (July 1963), bringing a dose of surreal, magical imagery to the Marvel Comics realm. With his frequent journeys to astral planes, creators Lee and Steve Ditko could not merely place their wizard in 1960s Midtown Manhattan. There was only place for a brightly garbed magician seemingly borne from acid hallucinations — the streets of Greenwich Village, home to bohemians and beat poets, Eastern spiritual practices and off-off-Broadway theater. Strange’s home — in the comics and in the Marvel Cinematic Universe — is 177A Bleecker Street, at the corner of Bleecker and a fictional alleyway called Fenno Place. That would be approximately here, on a row of decidedly unmystical bodegas and restaurants. Just around the corner at 94 MacDougal Street lived, in the real world, an equally enigmatic conjurer — Bob Dylan. Washington Square, just two blocks north, was indeed a infamous potter’s field, and Newgate Prison was located a short distance away at the foot of Christopher Street. The X-Men, who were headquartered up in Westchester County, were mostly comprised of young mutant heroes who would naturally gravitate to Greenwich Village for some downtime. 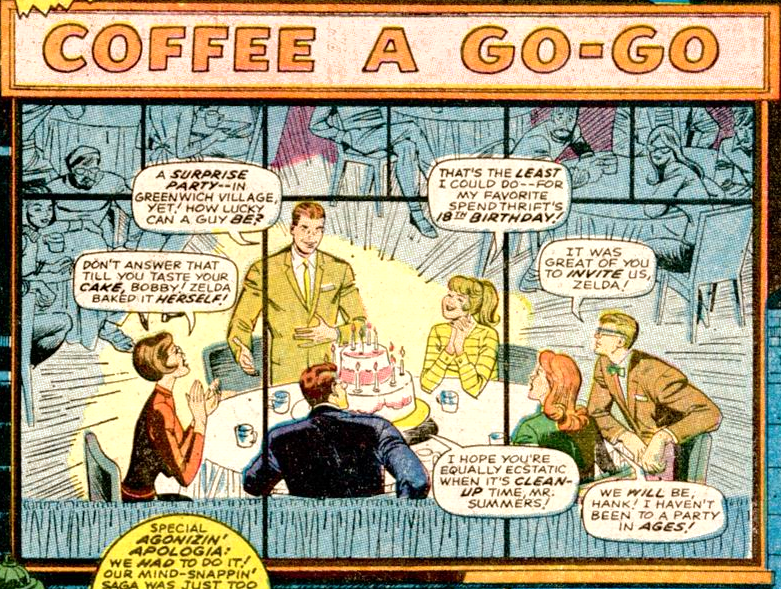 It was at a favorite beatnik spot named Coffee A Go-Go (a thinly veiled homage to legendary night club Cafe Au Go Go) that Iceman and the Beast encountered a mutant hipster named Bernard the Poet who altered perceptions while reciting poetry. 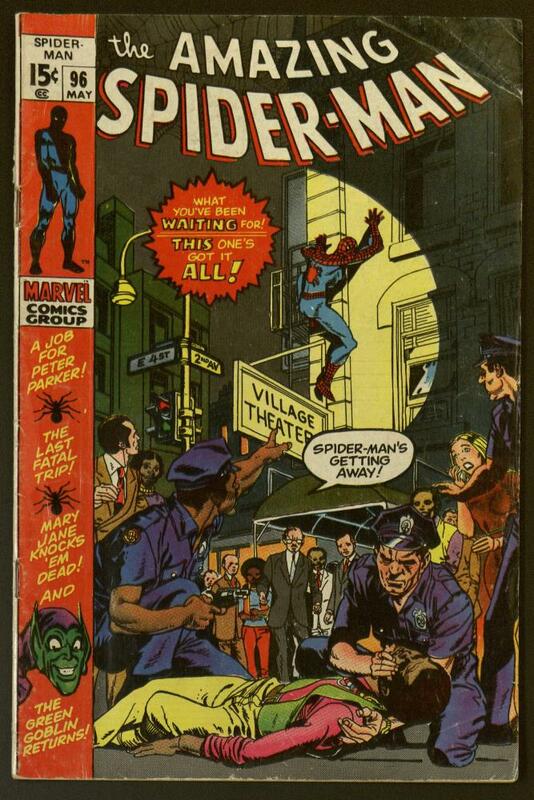 A survey of Spider-Man comic books provides a virtual tour guide of New York City locations. The web slinger first swung through the neighborhood in a 1971 adventure, saving a drug addict from falling off a building. Believe it or not, decades before Dr. Strange even existed, New York did have its own Sanctum Sanctorum, but it was not in the Village. 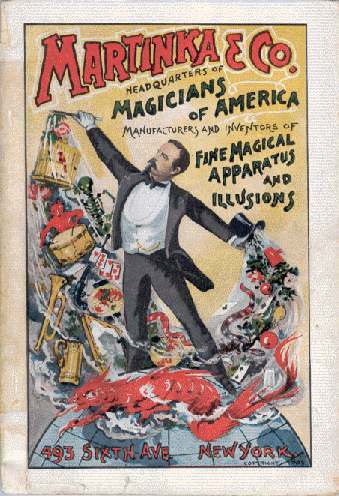 Martinka & Company, the headquarters of the Society of American Magicians, opened in 1877 at a location at 493 Sixth Avenue (north of Chelsea). Its legendary back room ‘Palace of Mystery’ would have enchanted even Dr. Strange, luring New York’s great magicians including Harry Houdini. For more information on Marvel Comic’s unique relationship with New York City, check out the Bowery Boys podcast Super City: New York and the History of Comic Books.